3D Renderings - The Design Collective Group, Inc. The two of us have always been fascinated with technology. We are the classic "early adopters." We had our first computer from Radio Shack. It had 5k of memory and data was stored on a cassette. And that led us to purchase the very first Apple Macintosh.... the computer for the "rest of us." We bought the first generation video camera - it weighed 9 pounds; the first brick-style mobile phone that was nearly as heavy; and we stood in line in front of the Apple Store when the first iPad came out,... behind a line of some 100 seniors anxious to get their hands on that new contraption. 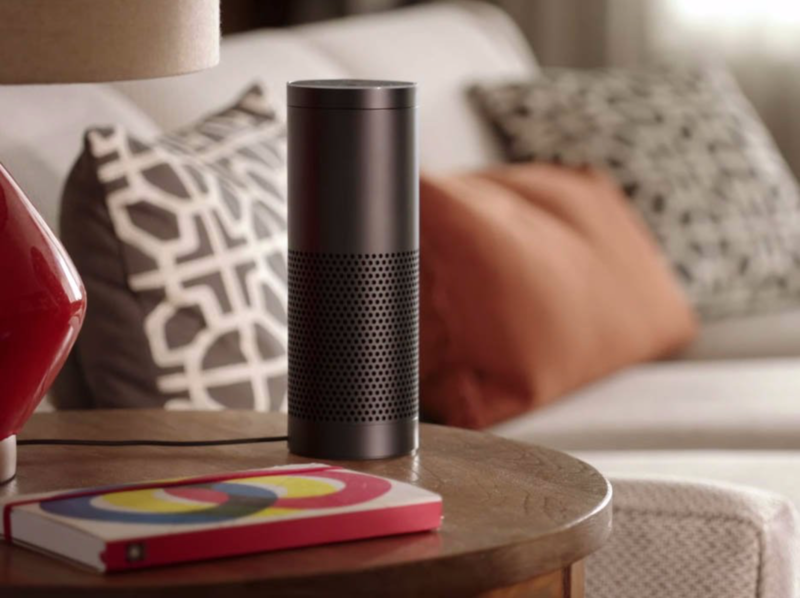 We also just purchased the Amazon Echo and expect to have great a experience programming it to respond to all sorts of audio commands. So far, so good. So it was just in our nature to provide clients with the latest visual tool,... awesome, immersive 3-D renderings of the spaces we are designing. The CAD ( computer-aided design and drafting ) software that we use to create such images has a rather long learning curve but we are getting better every day as we use the tool to space plan, design and provide fairly accurate visualizations of the interior spaces. Below are two simple examples of real life empty spaces that have been "virtually" furnished for purposes of helping the real estate owners and Realtors appeal to potential buyers. The rooms are real. The furnishings are not. The results are amazing to most and they certainly help the "visually" impaired see how the spaces might function with furnishings in place. We've even been hired by builders, developers and Realtors to create fully furnished renderings for their websites and brochures. And it certainly does help consumers in their decision making process to get a complete understanding of how spaces might be used. But what about spaces that have yet to be updated or remodeled? ​What about spaces that don't even exist yet as in the case of a residence or a clubhouse under construction? That's when our 3-D software really comes into play. We create a scaled floor plan and just like in construction, we move from the ground up and add walls, windows, doors, trims, cabinetry and then top it off with a ceiling. Below are two examples of just how accurate the renderings can be. And if something needs to be changed,... a few clicks here and colors, finishes, even the wood grain on cabinetry can be modified. Neat, eh? For us designers, investing in such software comes at a hefty price but it is a great investment that benefits both the design team and the client. And ongoing training is crucial since there are constant updates to the software with those new features then incorporated into the designs and drawings. Here is a scaled drawing, called the Plan View, of a client project in Rancho Mirage, CA. The couple purchased a 1998 single family home but soon realized they were not on the same page with one another on certain aspects of design. By using our CAD program, we helped to bring their thinking together once they saw the design come to life. Take a peak at some of the early renderings and see how the design developed. ​After allocating spaces and placing furnishings in their respective locations for the Plan View plus a 2-D Rendered View , we created a "doll house" rendering ( see below). Think of it like a bird view, removing the roof and taking a peek inside from up above. These drawings helped the client to begin to visualize and determine how they best to live in each of the individual spaces. With all the data programmed into the CAD software, we are then able to position a "virtual" camera and take a few snapshots as the rooms are being designed. 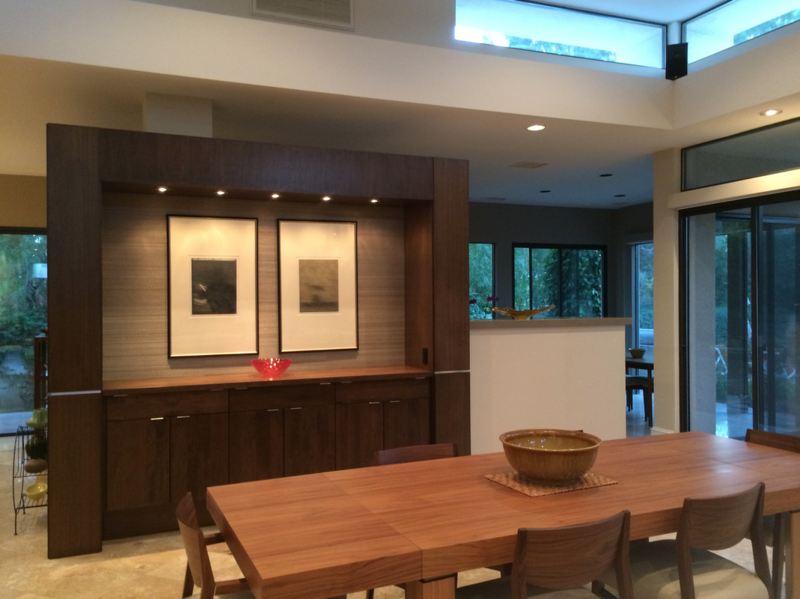 What was beneficial to our clients was the ability to understand not only the finishes and fabrics we had in mind, but how much cabinet space they would have adjacent to the dining table. We were very excited to share with the clients these images since they communicated the core of our design concepts, a clean, timeless desert contemporary interior. And of course, with the use of the CAD program, changes made in the design phase are much easier and a lot cheaper in the long run. 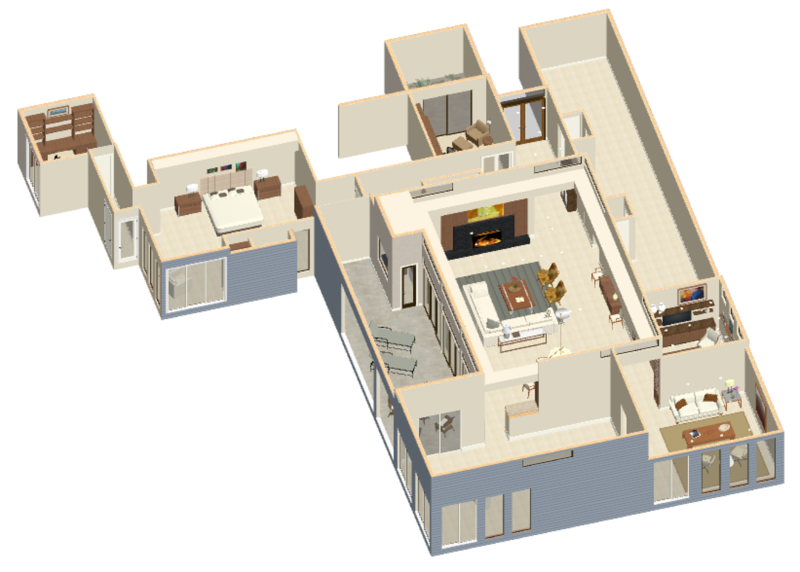 With a bit more programming, our CAD 3-D software can then provide a visual walk-thru in a short, quick video. The clients were totally amazed when we first clicked on the video and showed them the designs coming to life. Check it out. Click on the arrow and watch the short video clip below. What's next for us at the Design Collective Group... the "early adopter designers?" ​We are investing in more training and knowledge to provide our clients with the innovation of immersive 3D images. It is an evolving technology that is growing rapidly. These types of drawings and designs have already helped our residential clients thru the design and development processes. And it is becoming critical to our country club clients where HOA committees are tasked to approve changes or updates to the design of their common property. • SO WHAT IS IMMERSIVE 3D DESIGN? Just imagine, putting on viewing goggles and moving thru a space at your own speed. Looking to the right, leaning to the left, looking up and around and seeing the space fully complete,... and feeling like you are right in the middle of the designed interior. But of course you are not. It is just virtual reality but it can sure feel like it is real. We continue to work with these clients to tweak the interior. Projects like this one become even better with a little time and evolution. The clients are enjoying the process and we are loving how the space is turning out. In fact, in our humble opinion, we think the residence is turning out quite smart. Very smart. And our 3D design software played an important role to help establish the a realistic vision for the interior that both clients could agree to. 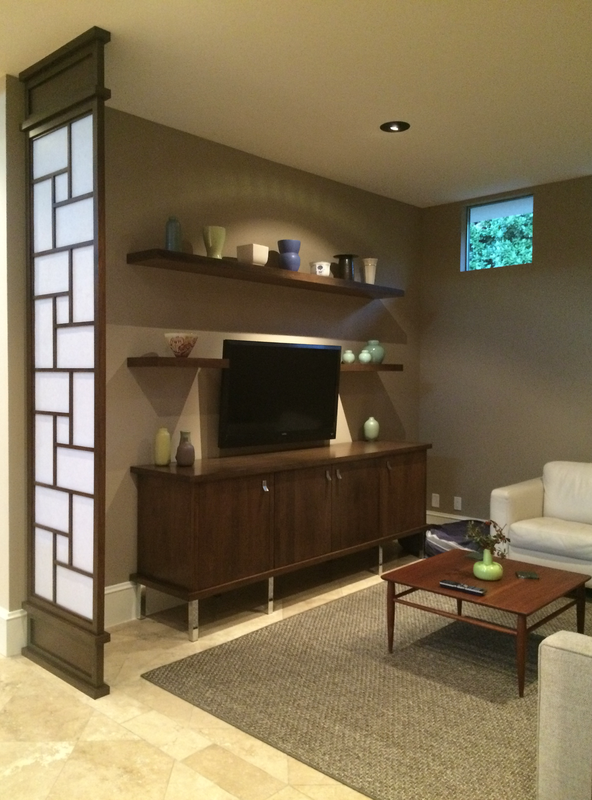 The walnut extension table is framed by custom cabinetry with great storage capacity. 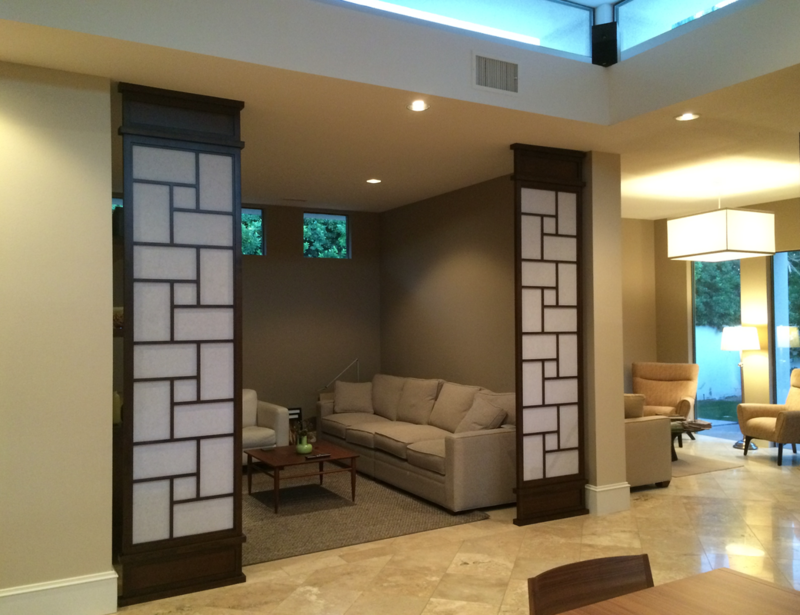 Check out below this 3D design we completed for a classic Mid-Modern Palm Springs Residence. HINT: Just click on the arrow and hold your mouse button to move about the space. ---> Amazing, right? View Hermosa-Updated Ideas. in Chief Architect’s 360° Panorama Viewer. So now... what can we design for you?